All Hail the sound of tombs cracking from a force wishing to resurrect. Mortal’s Path is from Germany and this group of newcomers does its very best to slide right into the death metal party. From their jagged logo to the black and white cover, Mortals Path tries its very hardest to just be a standard death metal demo without many bells and whistles. Because of this, Mortals Path presents a very humble offering of death metal which sounds like a cemetery rupturing. 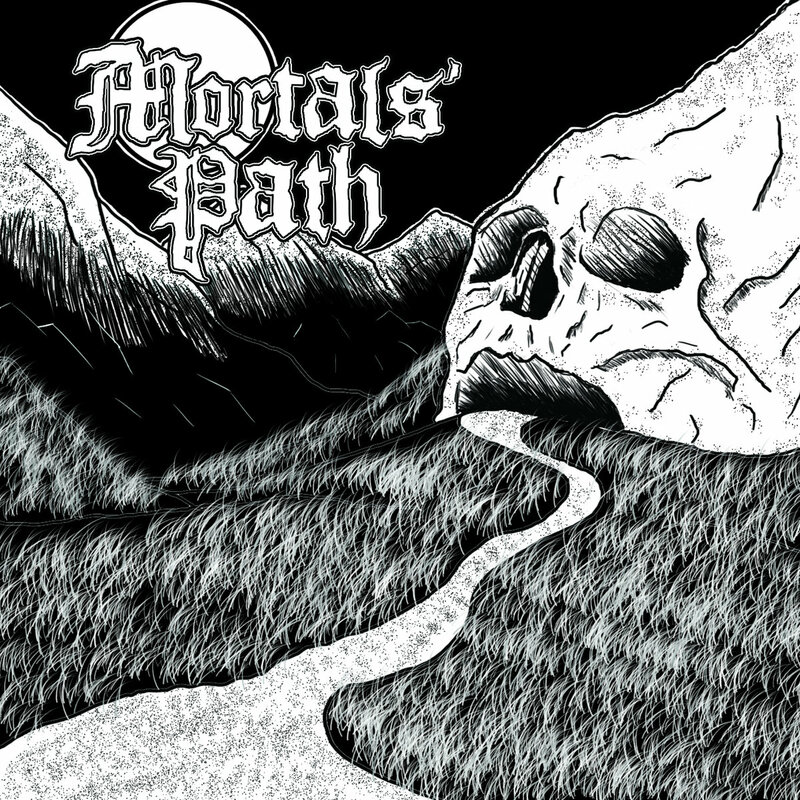 We are going to be completely honest and say that Mortals Path lacks the lyrical athletics of their death metal contemporaries. Gone are the times of arcane references and occultic visions of darkness. What we are left with are songs like “Pigsty Lullaby” and “Brutal Death.” Whatever the band lacks in presentation, they make up for in pounding delivery as each of those songs, for however that sound boneheaded, are full of riffs and punishing execution. Mortals Path is a complete surprise in terms of death metal and offers a very simple concoction of music without pageantry. While image and presentation is obviously important, it is nice to hear a band that skips all of that and goes straight for the throat. Come for nothing except for the shatter remains of a tomb and te smell of death which lurks behind you.